Our little guy is 10 1/2 months and has started to push away some of the pureed food I make. So for the past couple of weeks I’ve been making Sweet Potato Bites for him. These are the perfect finger food. He LOVES them! I have to admit, they are super tasty!! Not only are they super tasty, they are super simple AND they don’t have to be just for the little one. Kids and adults of all ages will like them. I love making a big batch and freezing them so that I always have some on hand. 4. 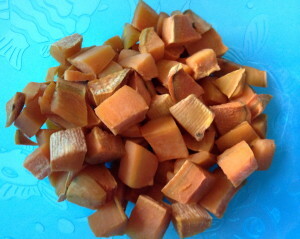 Bake for 20-30 minutes, or until the sweet potatoes are tender. Freezer tip: Cool potatoes. Keep potatoes on the baking sheet in a single layer, and freeze for 1-2 hours. Then transfer frozen potato bites into a freezer bag. OR scoop cooled potatoes into baby freezer containers…that way you have your baby’s servings already portioned. 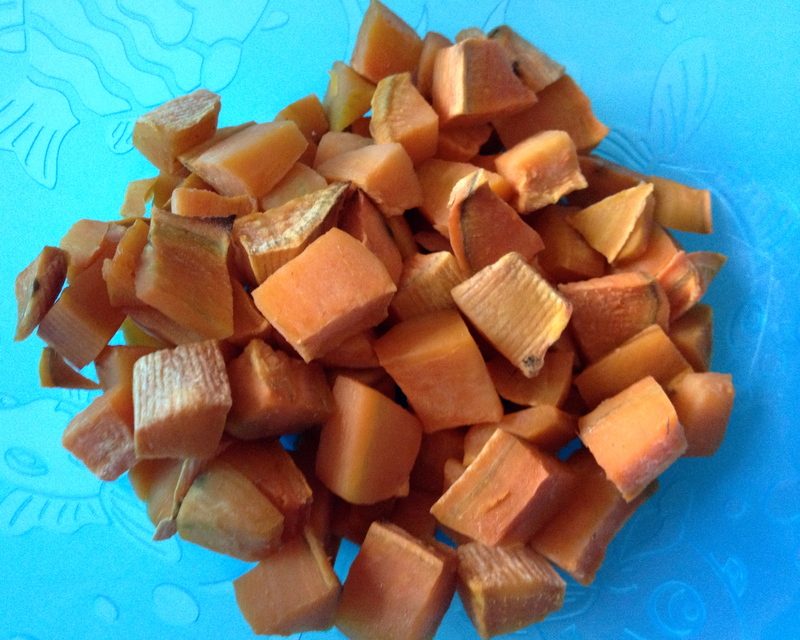 This entry was posted in Baby Food and tagged baby food, finger food, freezer cooking, sweet potato, sweet potatoes, toddler food. Bookmark the permalink. My baby loves these bites! Do you think this recipe could be adapted for regular potatoes? Do you have any other recipes for baby finger foods? That’s great! I love when the little ones love healthy food:-) Hmm, I’ve not made them for regular potatoes, but I would think it would work just fine! I’m working on perfecting apple bites for my little guy. Hoping to get that posted here within the next week:-) I’ve also made some oatmeal banana mini-muffins that I just break into little pieces. I’m running out of those and am due to make another batch. That one I’m hoping to post next week. Once you have them portioned and frozen…when needed how do you heat them up best?